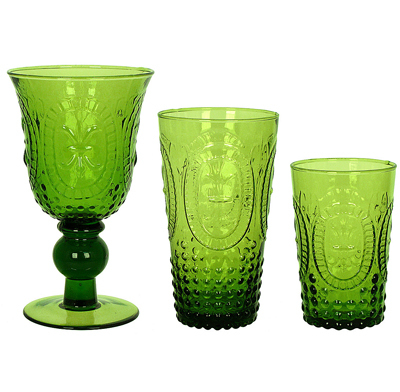 This Renaissance Green Pressed Glass Drinkware features a distinctive embossed design that captures the elegance of a bygone era. Made of lead-free pressed glass by master artisans using old-world techniques. Dishwasher and microwave safe. $5.99-$7.99. Buy here.